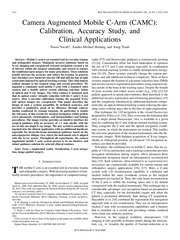 Minimally invasive solutions, based on X-ray imaging and coregistered external navigation created a lot of interest within the surgical community and started to replace the traditional open surgery for many procedures. 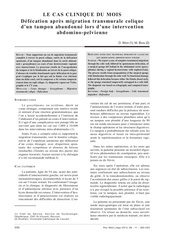 anatomic and surgical considerations. 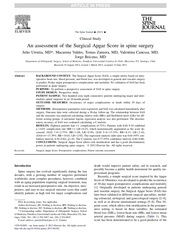 ... anatomic and surgical considerations. 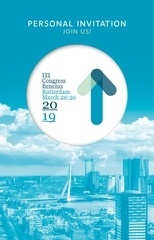 Systematic review Summary Symptoms of disordered eating are common among patients seeking bariatric surgery, and assessment of eating pathology is typical in pre-surgical evaluations. 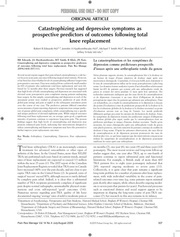 simple and practical guide by answering 10 questions in a step-by-step form Ziyad Alharbi1*†, Andrzej Piatkowski1,2†, Rolf Dembinski3, Sven Reckort1,4, Gerrit Grieb1, Jens Kauczok1 and Norbert Pallua1 Abstract Residents in training, medical students and other staff in surgical sector, emergency room (ER) and intensive care unit (ICU) or Burn Unit face a multitude of questions regarding burn care. 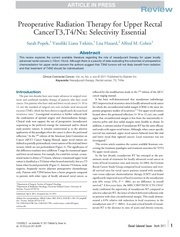 Neoadjuvant therapy, Rectal cancer, T3, T4Nx Introduction The past two decades have seen major advances in surgical treatment and combined modality therapy of patients who have rectal cancer. travel certificate TRAVEL CERTIFICATE NAME:_______________________________ (Block Capitals Please) ADDRESS:____________________________ _____________________________________ _____________________________________ PASSPORT NO. 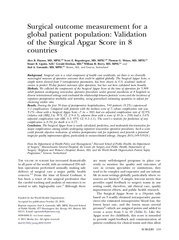 :_______________________ Signature:_____________________________ Date:_________________________________ NAME OF DOCTOR:____________________ ADDRESS:____________________________ _____________________________________ _____________________________________ Signature:_____________________________ Date:_________________________________ To Whom It May Concern This is to certify that the person named on this certificate has had a surgical operation which makes it necessary for him/her to wear at all times, a bag attached to the abdomen to collect excretion from the bowel or bladder. 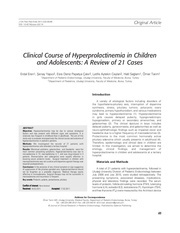 Surgical treatment in children with macroprolactinoma was not curative and dopamine agonist therapy was required postoperatively. 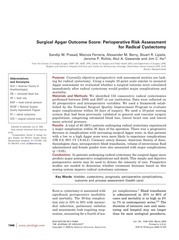 seeleyrj@umich.edu http://dx.doi.org/10.1016/j.cmet.2015.01.001 2Department Bariatric surgical procedures such as vertical sleeve gastrectomy (VSG) and Roux-en-Y gastric bypass (RYGB) are the most potent treatments available to produce sustained reductions in body weight and improvements in glucose regulation. 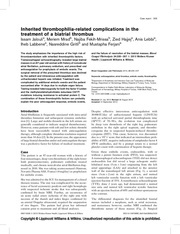 The surgical removal of the presumed thrombus was declined by the patient and intravenous anticoagulation with unfractionated heparin was initiated. In this review, we discuss the relationship between anemia and the outcomes of cardiac surgical procedures, the risks associated with RBC transfusion, and the impact of blood transfusions on mortality and morbidity after cardiac operations. 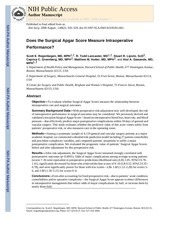 We report a case of complete transmural migration through the colic wall, followed by spontaneous defecation, of a surgical sponge left behind in the abdominal cavity (gossypiboma) during a vaginal hysterectomy with oophorectomy. 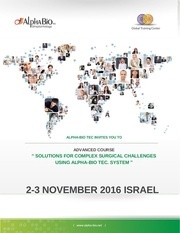 Program ENGLISH (2) ALPHA-BIO TEC INVITES YOU TO ADVANCED COURSE “ SOLUTIONS FOR COMPLEX SURGICAL CHALLENGES USING ALPHA-BIO TEC. 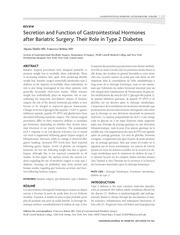 Their Role in Type 2 Diabetes Alpana Shukla MD, Francesco Rubino MD Section of Gastrointestinal Metabolic Surgery, Department of Surgery, Weill Cornell Medical College and New York Presbyterian Hospital, New York, New York, United States ABSTRACT Bariatric surgical procedures were designed primarily to promote weight loss in morbidly obese individuals. Unnoticeable activities are enabled on the very day of the painless, non-swelling non-surgical procedure. 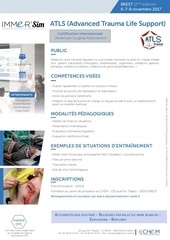 Fiche ATLS HD BREST (2ème édition) 6-7-8 novembre 2017 ATLS (Advanced Trauma Life Support) Certiﬁcation internationale (American Surgical Association) PUBLIC 16 personnes Médecins dont l’activité régulière ou ponctuelle nécessite la prise en charge initiale d’un patient traumatisé (chirurgiens, anésthésistes, urgentistes, médecins sapeurspompiers, médecins militaires, médecins de grand rassemblement...) COMPÉTENCES VISÉES 3 jours - Évaluer rapidement un patient en situation critique Chirurgiens Anesthésistesréanimateurs, Urgentistes - Initier les premiers traitements - Préparer le relai de la prise en charge, en équipe locale et avec un établissement avant un transfert éventuel.